The chatter of commuters filters in. Buzzing conversation, hundreds of feet stepping out of line, the clash of crockery in a cafe. A solitary note picks its way through, growing in confidence against the background’s organic clutter. The faint sound of the subway train glides off against the slightest of synths, melting together with the rumble of the tracks and delicately descending in a way that recalls the introductory seconds to Vangelis’ “End Credits” for Bladerunner. If it’s apparent from “Einsteigen”, Sool’s opening track, that this is a destination record, it’s unclear whether the journey belongs to us or Ellen Allien. Darling of Berlin’s distinctive minimal scene, and founder of the city’s seminal and influential Bpitch Records, Allien has always straddled the various sides of techno. From fluid minimalism with “Berlinette” to warm slices of lush electro with Apparat on “Orchestra of Bubbles”, the structures might have varied in design, but the foundations have always been grounded in sturdy, danceable, repetitive beats. 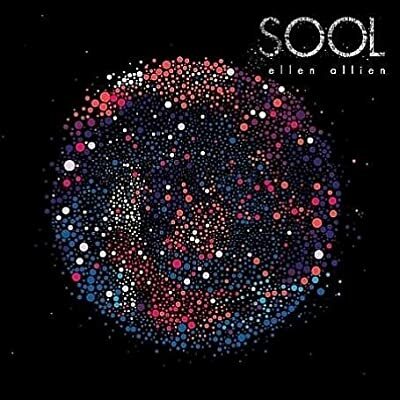 Sool, however, finds Allien freeing the structure from its shackles and allowing it to breathe, like some grand design drifting into space in 2001-style grandeur. If minimalism is taking back the beat from techno, and drawing it out into one long intoxicating rhythm, Sool‘s purpose is to free the composition from the beat altogether. Rather than rest the tracks on a generic beat and build over it, Allien finds joy in exploring the space around it, teasing out a ticking melody in the surroundings. It’s all very electronica, with different sounds and movements toyed with throughout, but cleverly ever-so restrained that it juicingly retains it’s danceability. “Caress” starts with the sound of a beat seemingly pondering the opening bars to Leftfield’s “Inspection (Check One)”, slowly, and over and over again. While the trusted beat dithers in time, it’s left to a bouncing ping-pong ball to usher the song in, a ghostly voice whispering the title so it sounds like “K-R-S”, as the track drifts along on its bare bones. By isolating the traditional techno beat, Allien is forcing the listener to find other foot-tapping escapes. “Elphine” springs along on the tick-tock of a wristwatch, before spiralling down into whistling echoes from a long-ago acid house rave. “Bim” takes on pneumatic pulses and luscious repeats of “Bim, bam, boom.” “Zauber” rests on a looped brush-like hook, the haunting oboe melody conjuring up visions of late evenings in medieval castles as if Clannad have been caught and stripped bare. And yet while Allien experiments with her surroundings, she’s not averse to letting the beat out of its cage. Delivering seven minutes of pure, pulsating, minimalism, “Its” explores the same relentless, driving beat that both Bjork (“Declare Independence”) and Portishead (“We Carry On”) have toyed with in the past 12 months, while the last bursts of what sounds like a decaying pinball machine pour over the top. Elsewhere, the beats are so limited that at times they sound like faint, tiny heartbeats. “Out” practically disperses with them altogether favouring building a grinding motion by dislocating and repeating the title. While on “Ondu”, a piccolo creates a distinct image against the contained sound of a dying engine, the ghostly turbulence creating its own hushed beat, like the lonely hum of a discarded spaceship. By stripping these structures down to their bare bones, Allien has moved beyond minimalism into what can only be described as skeletalism. Yet the sounds she has imagined, however cracked and dislocated they may seem at times, remain warm and consistently infectious. Absorbing oneself in the future-noir landscape within can take some time, but as the layers are stripped away with repeated listens, Sool becomes more and more striking.